Prior to this operation Sergeant MacIsaac was promoted to Flight Sergeant. This was the first operation he flew with his regular crew. The intake had come from many areas, having been trained in different parts of the Commonwealth and United States. They consisted of many different nationalities - British, Canadian, Australian, South African - all with varying degree of skills and backgrounds. All, however, had one thing in common: they had reached a level of proficiency that had entitled them to wear a brevet, the wings of their trade, as either a pilot, navigator, wireless operator, bomb aimer, or gunner. Now had come the time for us to be grouped together as separate bomber crews, to be trained and molded into an effective and efficient fighting unit. How, I thought as I stood half listening to the speech of welcome from the Stationmaster (RAF slang for the Commanding Officer), are they going to sort this lot out? I was soon to find out. "And now will you break off into groups and sort yourselves out into crews," came the pronouncement from the CO. I don’t know what I expected, but it never occurred to me it would be like that. I thought to myself, "What a bloody stupid way to go about an important job like crewing up." I felt let down. What a way to start a training course; this wasn’t a very scientific or professional way to allocate crews. It certainly did not fit in with the standard of training that I had so far received. And so with my two pilot friends we just stood there wondering what to do and how to go about it. It was when a group of three commissioned RCAF officers, all navigators, had come over to our group and introduced themselves that things finally got under way for us. Riggy and I had started talking to each other - we seemed to get on well and decided we would team up. Together we started to look out for other members to make up our crew. We walked over to a group of wireless operators, where some were actively trying to get organized whilst others were not anxious to push themselves forward. Sparks was one of them; we teamed up and the procedure started all over again looking for a bomb aimer and rear gunner. Len seemed to fit in naturally, but Jock was standing there on his own. His apparent shyness had excluded him from being offered a place in a crew. I and the others looked at each other and, without a word being spoken, nodded in agreement. I asked Jock if he would like to join us. I had my crew. It is important to understand the way in which the RAF crewed up a bomber crew, because it reflects very much on the philosophy of night bomber operations. In the USAAF the airmen were "crewed up" for training in the States by a bureaucratic selection of names from lists. Once on the squadron, they would often fly a mission with a crew made up of available "bods" that day - sometimes no one would know anyone else on board the aircraft. This reflected very much the philosophy of daylight pattern bombing which relied heavily on well trained expert "lead crews" in the formations of Squadrons and Groups. Night operations, especially the night precision bombing mastered by 205 Group RAF, required a very different type of crew. Each aircraft was navigated individually to the target by its own navigator - it was his job to ensure that the aircraft arrived over the target at the briefed height and exactly on the "blitz time" agreed to at briefing. This was an attempt to saturate the defenses and to allow the bomber stream to pass through the defended target area in as short a time as possible - the theory being that there was safety in numbers. It also had the effect of delivering the maximum tonnage of bombs on target in the shortest time and kept the defenders' heads down (in theory). It seldom worked that well. A night bomber crew was a self-contained unit, dependent on each man knowing that the others would do their jobs well and having confidence in their skills and judgment. It was not a game of "follow the leader" at night. 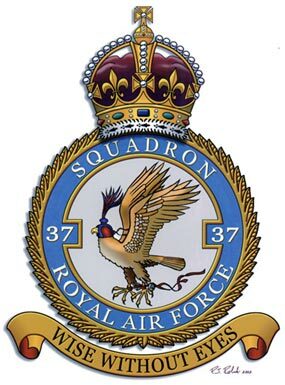 The operation against the marshalling yards at Kraljevo, Yugoslavia was the first of a great many ops this crew would fly together on 37 Squadron. It took place on the night of August 10/11, 1944. 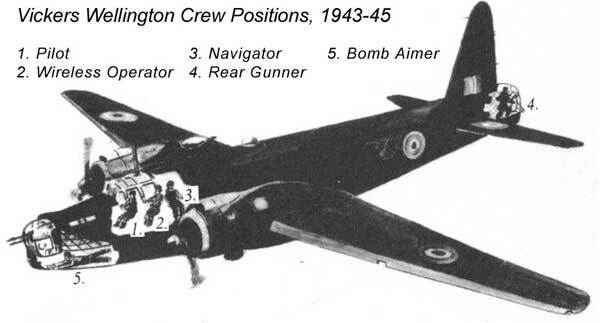 The crew flew Wellington Mk.X number MFH12 - its squadron designation (the letter painted on the side of the fuselage) was "F". The target was an important railway center in Yugoslavia that had been recently showing considerable activity - thus the operation was ordered. Flight Sergeant MacIsaac took off at 2354 hours carrying nine 500 pound bombs. The weather was good, the target markers were well placed, and a well concentrated attack resulted. Flak over the target was negligible and no encounters with night fighters were reported. Twelve aircraft were detailed and operated, and all attacked the primary target, dropping 108 500 pound bombs between 0201 and 0206 hours from a height of 6900 to 8000 feet. MacIsaac arrived over the target at 0203 hours on a heading of 330 degrees at 8200 feet. He dropped his bombload on the target indicators but no results were observed. He and his crew returned safely at Tortorella at 0434 hours. Target aiming point photo taken by F/Sgt MacIsaac over Kraljevo. The bright spot in the upper left is caused by a flash flare dropped to illuminate the ground for this photograph. 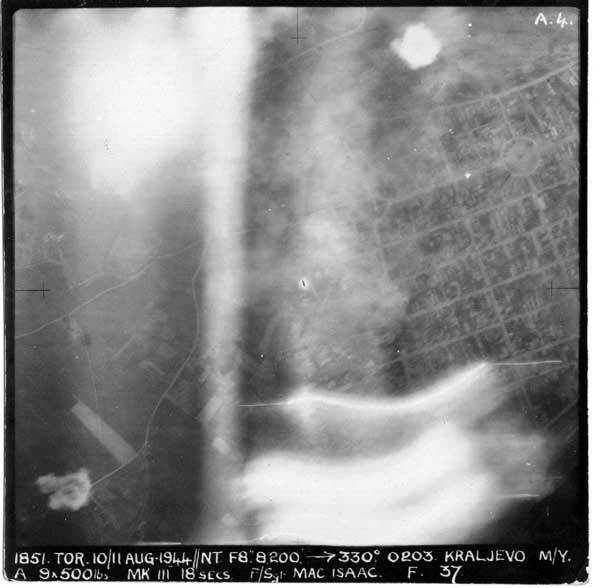 Tracer fire from small Anti-Aircraft emplacements is visible at the bottom right. A cloud of dust from an exploding bomb can be seen in the lower left.